You guys, I love chicken! I think it gets a bad rap because it doesn’t have a ton of flavor, but I think that’s one of its best qualities! You can season this high protein and rather inexpensive meat any way you like it! I’ll admit, it did take me a while to learn how to cook chicken without drying it out but since then I’ve never looked back! 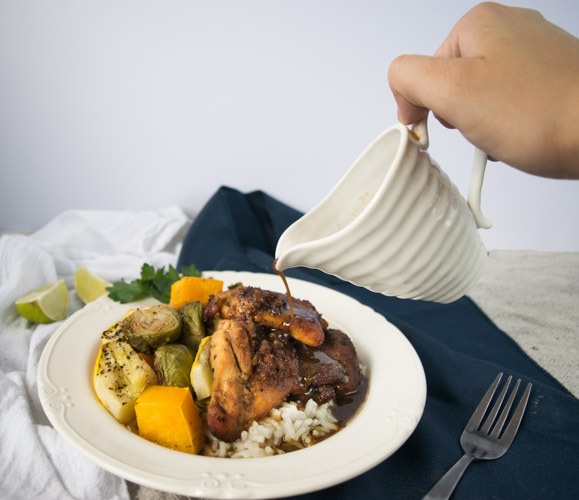 What are some of your favorite chicken recipes? For my birthday a few years ago, my sweet husband got me a cookbook that is based off of one of my favorite book series. It’s called the Mitford Cookbook and Kitchen Reader and is so much fun to read through! The Mitford series is amazing too and they always cook up delicious meals in every book and I always imagine myself getting to try the savory treats! The books are about a little town called Mitford and it focuses on Father Tim who is the local priest. The series is all about living in a small town and the interactions with all the different people. I felt I could relate to the characters super well. The book makes you want to pack up and go live in the quaint little community. Just thinking about it makes me want to go reread the series! Seriously, you’ve got to go read it! Back to this recipe, it may not be fried but it sure is delicious and super simple! 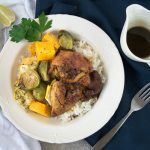 The smell coming from the crockpot is amazing and both my husband and I love eating chicken this way. 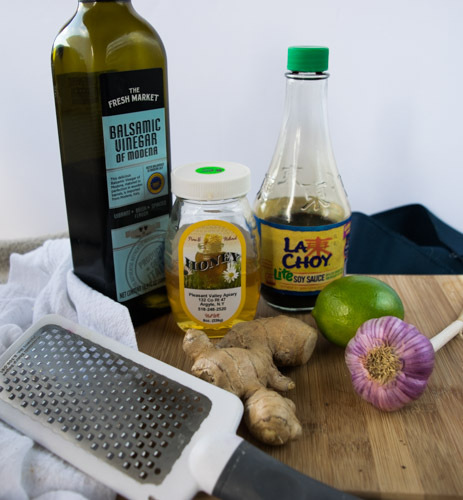 The honey garlic sauce is slightly sweet with a wonderful and yet subtle ginger flavor. 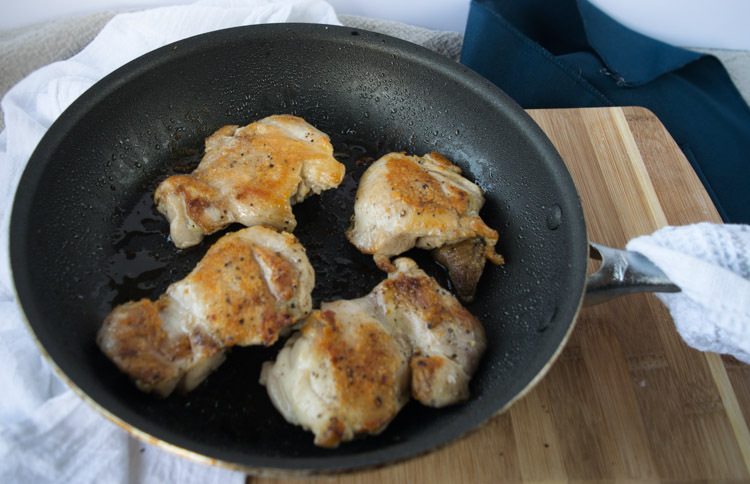 Not to mention the chicken thighs, with their slightly higher fat content, are super juicy and tender. You must try it! Serve with rice and your favorite veggies! 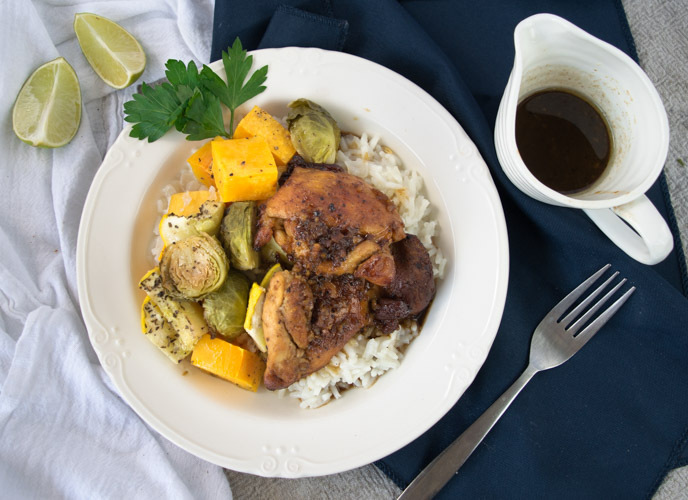 These honey garlic chicken thighs are full of flavor and are great with rice and veggies! So eat up and enjoy! You don’t want to miss trying these! Heat up a skillet over high heat. Add a splash of oil to it. Season chicken on both sides with a light sprinkle of salt and pepper. Add chicken to skillet and cook on both sides until just browned. Don’t overcook the chicken. Just make sure to get a quick sear. Meanwhile mix all the other ingredients together to form a sauce. Once chicken thighs are seared, transfer them to the slow cooker and pour the sauce on top. Cook on low for 2-3 hours. Serve with rice and vegetables. Place chicken on top of the rice, spoon sauce remaining in the slow cooker over it.